What can I say, I love Spongebob. Sincerely, since the very first episode. His pure joy was infectious. 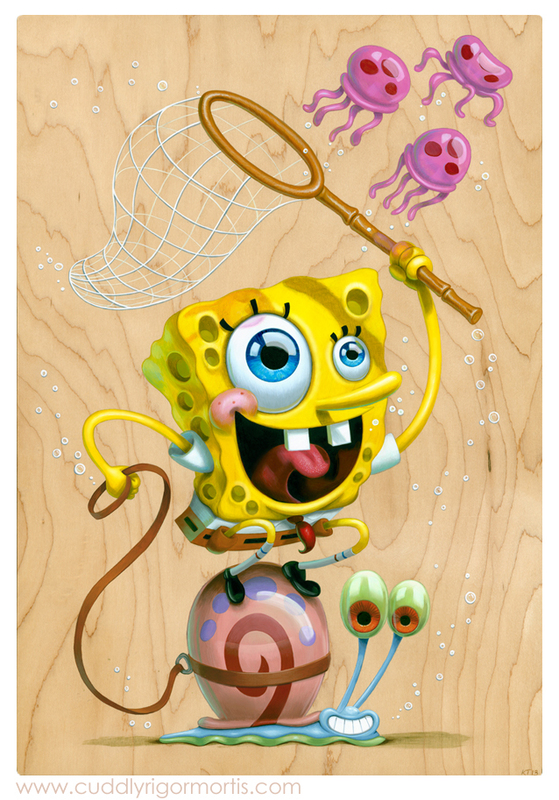 So when Gallery Nucleus emailed that they wanted me to participate in their Spongebob tribute show - and they were partnering up with Nickelodeon - it was a no-brainer. I present my ode to pure joy, "Jellyfishin' With Gary" acrylic on maple, 11" x 16"
The show opens July 27th (this Saturday) and should be a blast, just like every other art show that Nucleus puts on. Now go blow some bubbles and eat a Krabbie Patty.